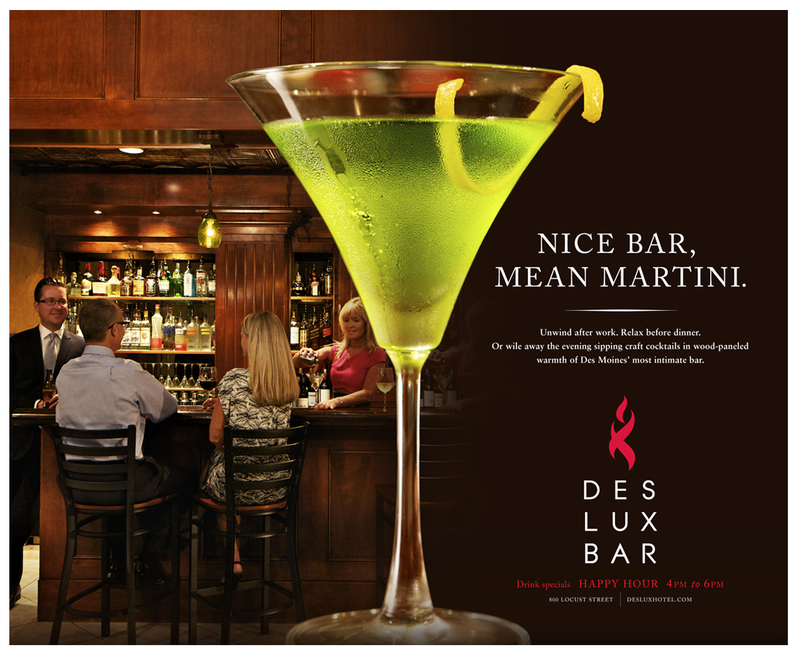 Giving Des Moines something Des Lux. The new owners of this downtown Des Moines landmark needed to communicate with a level of sophistication equal to its competitors. 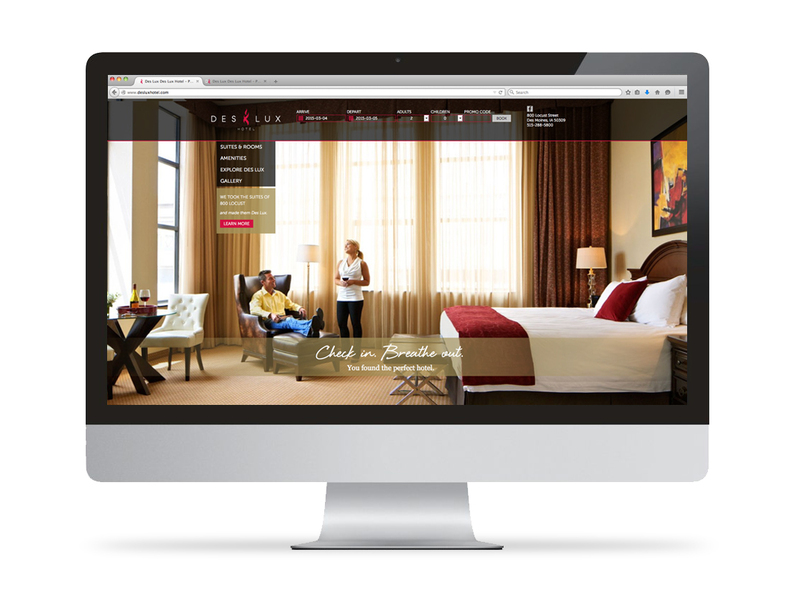 We named the new hotel, created the brand, and engaged the public through visual identity, tagline, signage, advertising, collateral and website. 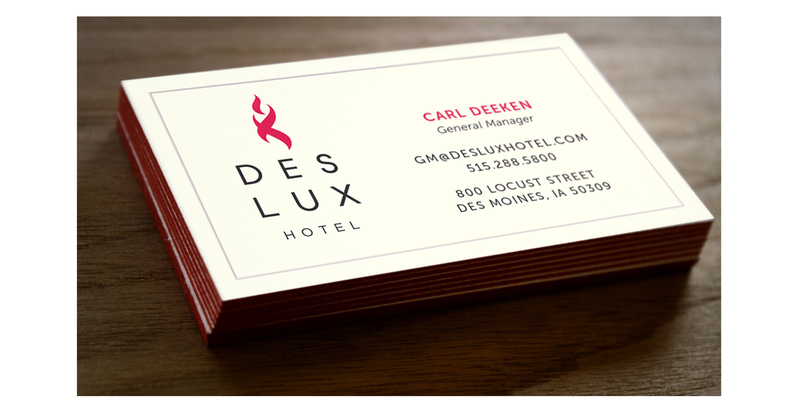 Business cards are one example of a top-to-bottom redo of the hotel’s identity system. 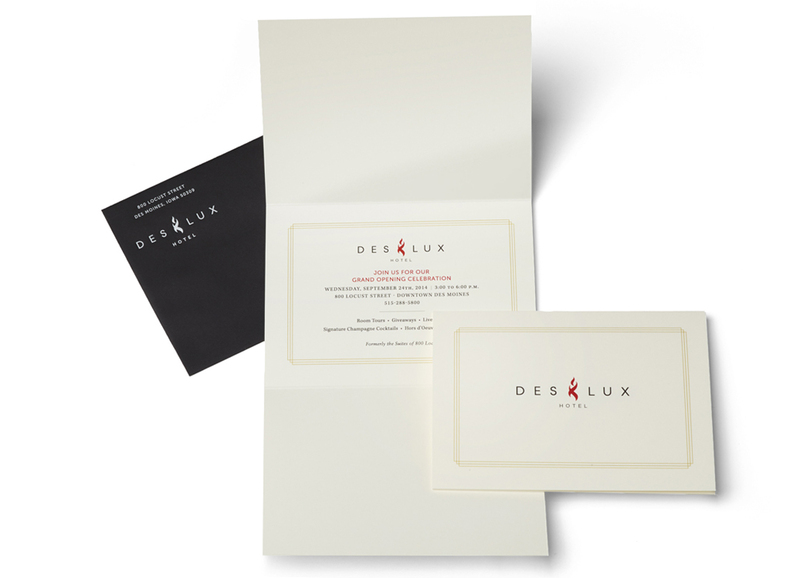 An invitation to the hotel’s grand opening celebration. Limited funds allowed only for a new awning. A thorough renovation of the facade is to come. Print ad that appeared in magazines and travel guides. 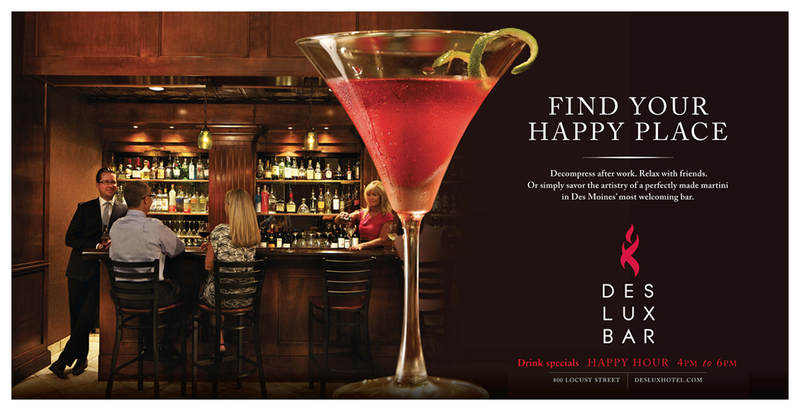 Posters and print ads also drew attention to the hotel’s popular bar. The Des Lux website gives prospective guests what they want most: ease of booking and high-quality photographs of the property. 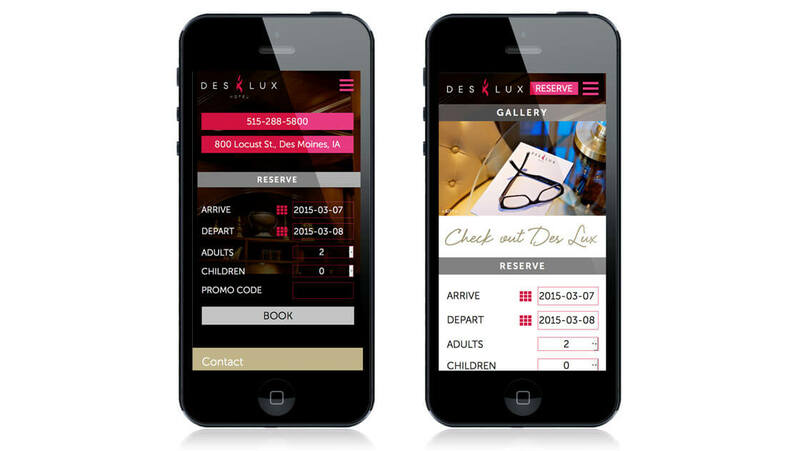 The mobile version of the Des Lux Hotel website enables site visitors to book quickly and gain key information about the property. 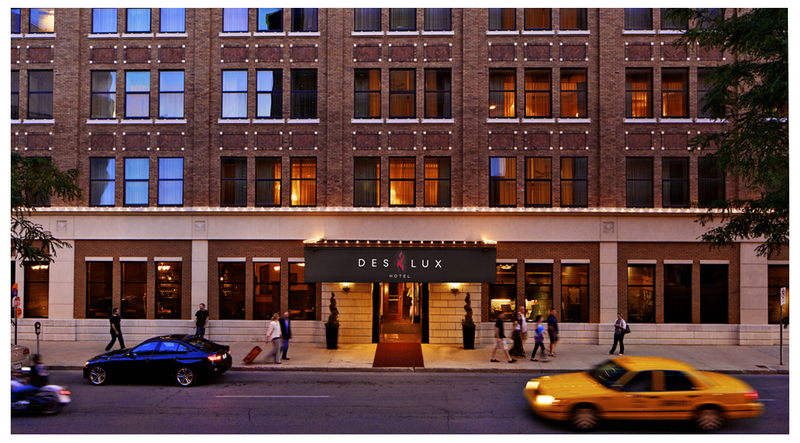 Supervox’s work for the Des Lux Hotel was transformative. It not only helped clarify our brand, but also helped shape decisions beyond the brand and marketing work.